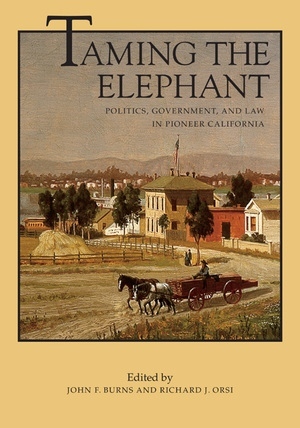 Taming the Elephant is the last of four volumes in the distinguished California History Sesquicentennial Series, an outstanding compilation of original essays by leading historians and writers. These topical, interrelated volumes reexamine the meaning of the founding of modern California during the state's pioneer period. General themes run through all four volumes: the interplay of traditional cultures and frontier innovation in the creation of a distinctive California society; the dynamic interaction of people and nature and the beginnings of massive environmental change; the impact of the California experience on the nation and the world; the influence of pioneer patterns on modern California; and the legacy of ethnic and cultural diversity as a major influence on the state's history. 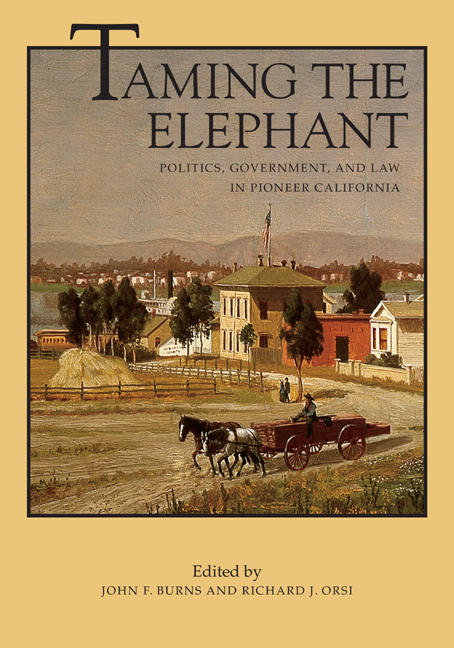 This fourth volume treats the role of post–Gold Rush California government, politics, and law in the building of a dynamic state, with influences that persist today. Provocative essays investigate the creation of constitutional foundations, law and jurisprudence, the formation of government agencies, and the development of public policy. Authors chart the roles played by diverse groups—criminals and peace officers, entrepreneurs and miners, farmers and public officials, defenders of discrimination and female and African American activists. The essays also explore subjects largely overlooked in the past, such as the significance of local and federal government in pioneer California and early struggles to secure civil rights for women and racial minorities. John F. Burns is former State Archivist of California and History-Social Science Consultant for the California Department of Education. His publications include Sacramento: Gold Rush Legacy, Metropolitan Destiny (1999), and the forthcoming Capital Dreams: The Transformation of Sacramento. Richard J. Orsi is Professor Emeritus of History at California State University, Hayward, and Editor Emeritus of California History, quarterly of the California Historical Society. He is coauthor of The Elusive Eden: A New History of California (2002).